TANZANIA: Trademark Applications | Smit & Van Wyk, Inc.
Tanzania is a union of two countries, namely Tanganyika and Zanzibar. Trademark protection is obtainable via national filing or ARIPO. (if applicable)Copy of priority application, certified by the relevant Trademarks Office as a true copy thereof; and an English translation, if necessary. Duration: 7 years from filing date and renewable for further periods of 14 years. Duration: 10 years from filing date and renewable for further periods of 7 years. 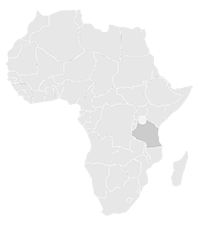 Smit & van Wyk, Inc. trademark agents in Africa: Our services include trademark applications, maintenance and protection in Tanzania and Zanzibar. The patent and trademark attorneys at our firm are dedicated individuals, skilled in their fields of practice, and can provide clear advice on complex legal matters to clients from all over the world.